Each year, the U.S. Small Business Administration (SBA) recognizes the incredible impact small businesses and entrepreneurs have on our community. And it's right around the corner! From May 5-11, we'll be celebrating National Small Business Week! According to SBA, more than half of Americans either own or work for a small business, and they create about two out of every three new jobs in the U.S. each year. That's certainly something to be excited about! 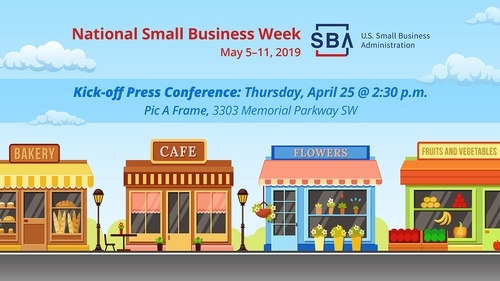 Join us April 25 at Pic A Frame for a press conference to kick-off this awesome week with guest speakers Mayor Tommy Battle of Huntsville and Kim Lewis, the 2019 Chamber Board Chair and Owner/CEO of PROJECTXYZ. Let's continue to recognize and support the small businesses that make our city great!